Success Local Limited specialise in helping Nuneaton’s small to medium sized businesses to create and grow an online presence. 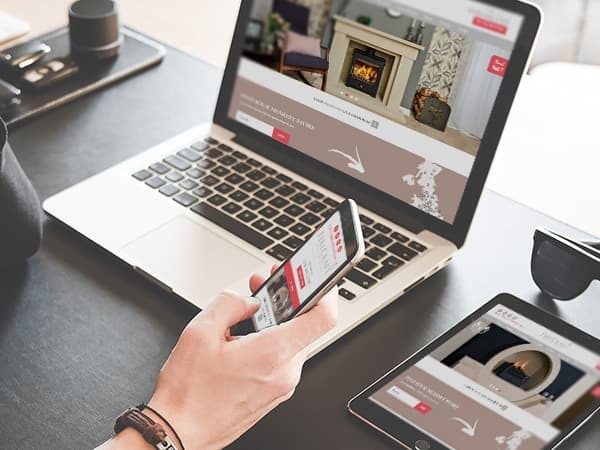 From the design and development of a new website, to the ongoing digital marketing, our knowledgeable team will work with you to help utilise the internet and grow your business. Online is a massive word and by itself it’s not particularly useful. There are lots of different ways to advertise your business online, including search engine optimisation, PPC, social media and email marketing, to name a few. 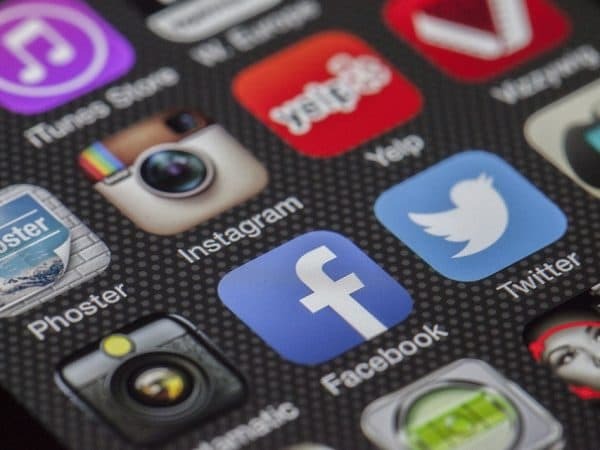 Not all of these platforms are going to give you an equal return. Our specialists will work with you to prioritise the marketing that has the best chance of bringing you a return on investment and making you successful online. If your goal is to get more customers from Nuneaton, then local search engine optimisation is likely to be a good place for you to start. Some reports suggest that up to 46% of all searches on Google have a local intent, indicating that people are either searching specifically in Nuneaton by including it in their search (e.g. plumber Nuneaton), or by including “near me”. 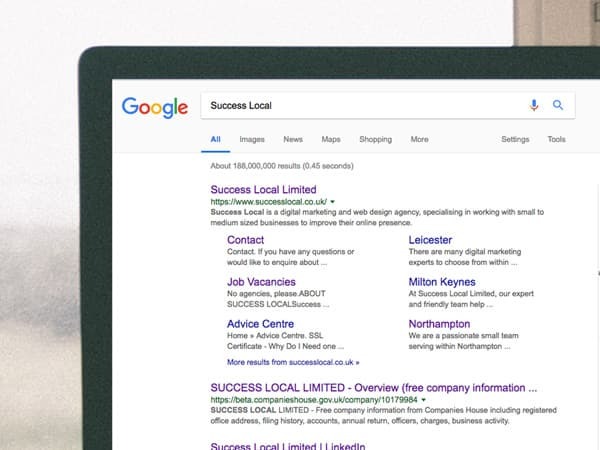 The digital team, at Success Local, can help you to appear in search results for Nuneaton, by improving and optimising your website inline with Google’s guidelines. Sometimes the best thing for your business is to build your brand. This is particularly the case if your service or products are relatively unknown, as people won’t actively be looking for them. By getting to know your business and your products, we can target the right type of person on social media by specifying demographics, such as age, relationship status and even interests. Social isn’t just for new and emerging markets though. Social media marketing provides you with an excellent opportunity to engage with existing customers and encourage them to advocate your brand, by tagging friends and sharing your posts. By thoughtfully engaging with your existing customers and target market, social can help to accelerate your business. Search engine optimisation isn’t the only way to utilise Google to get your business found, there’s also Google Ads. Google Ads is their advertising platform where they effectively sell advertising space in search results to the highest bidder. You only pay when someone clicks on your advert, therefore, limiting your exposure to high costs without return. 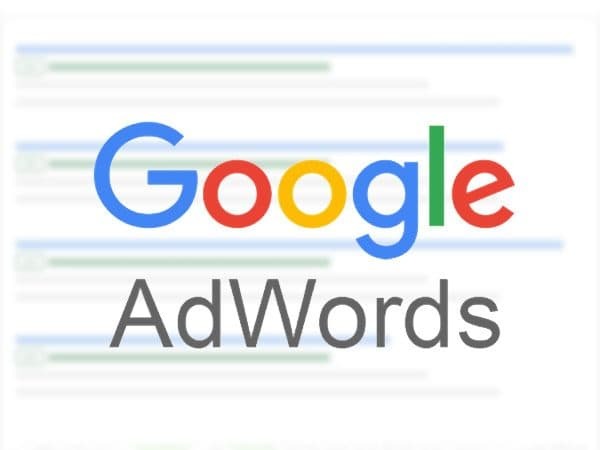 PPC on Google Ads provides you with instant visibility and traction, which is great for businesses that need to see a return in a short period of time. The ability to cap your ad spend also gives you excellent control over your budget. Almost anyone can benefit from some form of PPC but some businesses will benefit more than others. This is particularly the case in seasonal businesses. Christmas tree farms, for example, would benefit greatly from PPC. The seasonality of such a business means that it wouldn’t be time or cost effective to optimise to rank for “Christmas trees Nuneaton” year round. Google Ads allows you to save your money to focus your efforts at strategic times where you’re likely to see the most impact. The key to any digital marketing working for you is ensuring that you make it as easy as possible for your customers to achieve their goals on your website. Whether that’s buying something, or simply finding your phone number, it needs to be easy. That’s our web design team look beyond attractive design and ensure usability. Our bespoke websites are designed specifically for your business and to meet the needs of your customers. They are also built to work well on all popular devices, such as Android and Apple phones and tablets. All of our websites are built using WordPress, one of the most widely used platforms for websites. WordPress is easy to use and modify, ensuring you can keep your images and text up to date. You’ll also be provided with training to allow you to make the most of your new website. We understand that you’re busy running your business, which is why we offer free consultations in Nuneaton. Our consultations are exactly that, consultative. There will be no hard sale and absolutely no obligation. The meeting is purely intended to allow us to find out more about your business and your goals, so that we can make tailored recommendations. To arrange you free no obligation consultation, please get in touch on 01455 367100 or via our online contact form.